The Muskoka Ontario Information Directory is an introduction to the best Muskoka has to offer. 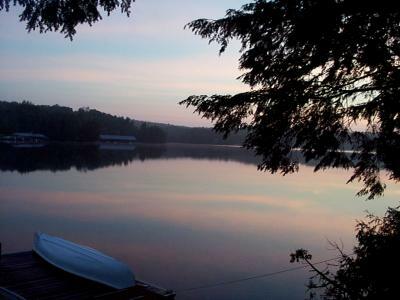 We also offer many links to: Haliburton & Algonquin Highlands, Parry Sound, and the Almaguin Highlands. Our Web Site Directory is easily navigated to find: Muskoka Attractions, Entertainment, History of Muskoka and a wide range of Business offering their services. If you are looking for real estate, accommodations (resorts, cottages etc), restaurants/catering, a canoe, or a builder / contractor - we have it here and much more! Please also visit Muskoka - Land of Lakes, what it once was, and Muskoka - The Awakening, what it is today. Muskoka Ontario is a true " four season " vacation destination. We have abundant lakes, rivers and vast areas of unsettled forest. You can drink the water, breath clean air and eat the fish. World famous Algonquin Park, Georgian Bay National Park and Arrowhead Park are just 3 reasons why Muskoka should continue this way long into the future. © 1998-2008 Baytides Management Inc.